2019 NWODGA 31st Annual Goat Education Conference Info! 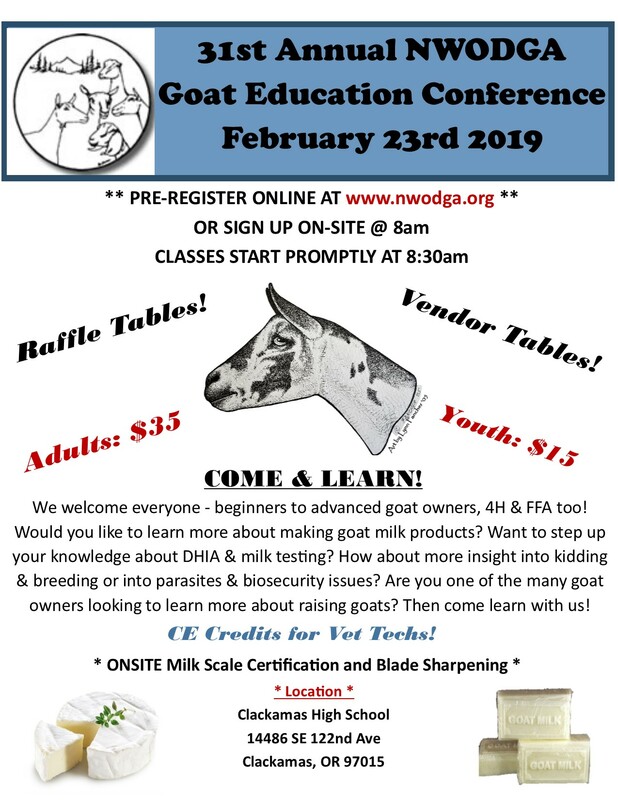 Here is the 2019 NWODGA Goat Education Conference Flyer! Classes and additional information will be updated within the next few weeks!